The Ultrasound Education Group focuses on the development of learning in Clinical Ultrasound by utilising online courses as well as hands-on workshops and simulator training programs. 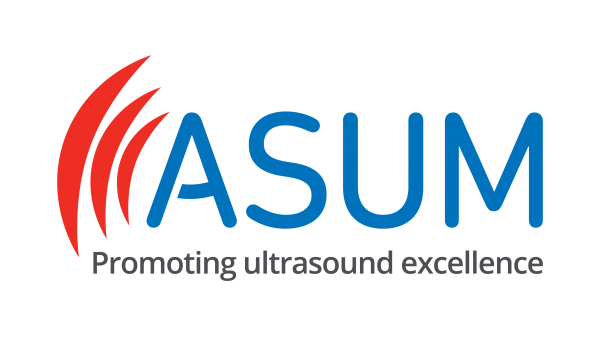 Our website contains news articles, our research outcomes, study options for our award programs, workshops and simulator courses in Focused Ultrasound Simulator Education (FUSE) and Focused Cardiac Ultrasound (FCU), resources for current students and our course impacts. Doctors in Melbourne have performed an Australia-first lifesaving heart surgery using pioneering 3D technology. The operation, which used a 3D scanner and mesh sleeve took place while the patient’s heart kept beating. Recent exciting news is that The Ultrasound Education Group team have recently published a research project in Journal of Critical Care, that demonstrated that the University of Melbourne FCU TTE Simulator course was more effective and cheaper to teach focused cardiac ultrasound than the iHeartScan course. This is a major accolade for the team in developing and conducting this course. Transthoracic echocardiography (TTE) has been widely used in many areas of medicine but has been slow to become integrated into the general management of pregnant women. The physiological and anatomical changes of pregnancy, as well as consumer preferences, make transthoracic echocardiography an ideal monitor for critically ill pregnant women. 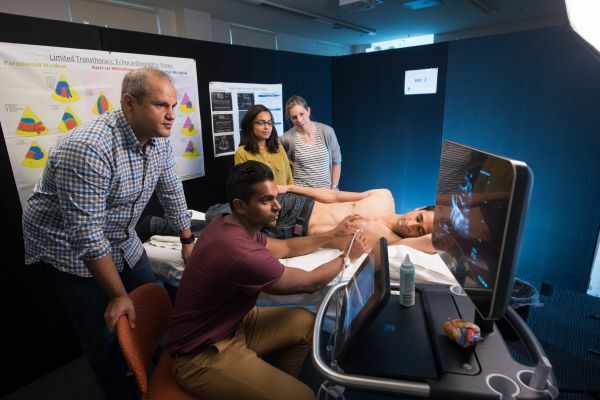 Now a permanent fixture in the Centre for Excellence and Innovation in Anesthesia (CEIA), Royal Brisbane Women’s Hospital (RBWH), the Brisbane Focused Ultrasound Simulator Education (FUSE) programs are now up and running as established training courses for doctors wanting specialized ultrasound training. Will The Stethoscope Be Replaced By Ultrasound? Simply this imaging technology is vastly superior to the current technology (stethoscope and clinical examination) and is also better in many circumstances than a chest x-ray which comes with the additional risk of a dose of radiation. It is very easy to learn and very rapid to perform. The ultrasound technology is becoming much more widely available and within a short space of time, the wider availability of pocket ultrasound machines will make this a practical reality. Plans are underway to expand the Graduate Certificate, Diploma and Master of Clinical Ultrasound Award Courses to encompass more students of allied health disciplines such as physiotherapists, nurses, medical imaging professionals and perfusionists. True disruption comes when technology changes the paradigm of medicine and new adopters emerge. A number of studies suggest use of ultrasound will change the diagnosis or management in up to 20-50% of cases. What has limited us in the past in medicine is the cost and size of new equipment; and who has access to it. Assessment of the lung has traditionally been considered off-limits for ultrasound, because the presence of air and its high acoustic mismatch with surrounding tissues causes a complete reflection of the ultrasound beam and therefore an inability to create direct images of the pulmonary parenchyma. Medicine graduates Professors Colin and Alistair Royse have taken a career pathway together armed with a big picture vision coupled with a practical approach. Doctor Martin Kim is at the head of a new initiative to roll out ultrasound-guided training to junior critical care trainees at Monash Medical Centre. 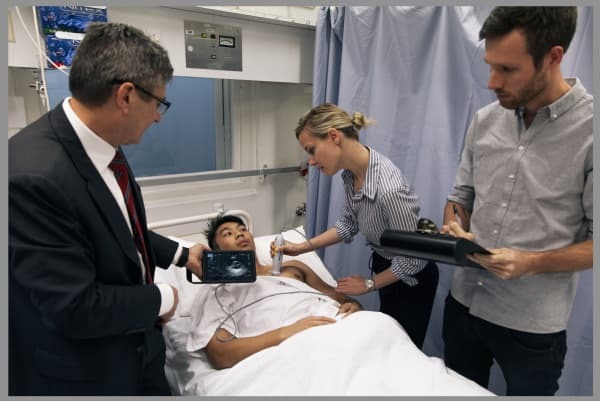 We had a look at Martin’s experiences both as a former student of clinical ultrasound and now as a trainer for the new generation of trainees at Monash. Dr. Nathan Peters is a busy Brisbane anaesthetist with a broad sub-speciality case mix. He has special interests in the training and application of point of care ultrasound as well as the peri-operative care of patients undergoing vascular surgery. This month we caught up with Dr Doa El-Ansary from the Dept of Physiotherapy, University of Melbourne, to get her thoughts on winning the Pat Cosh Grant to fund the development of a new physiotherapy eLearning course. 1. How to learn ultrasonography in Australia? Where to get started in incorporating clinical ultrasound into practice? In simplest terms, clinical ultrasound can be used as an extension of clinical evaluation by all medical practitioners. Think of it as “ultrasound assisted clinical evaluation”, and so basic ultrasound of the heart, lungs, deep veins, abdomen, musculoskeletal system and even during pregnancy simply improves the diagnostic fidelity of routine clinical evaluation. In this most complex form, ultrasound forms a part of specialties such as cardiology or radiology. Many universities are now teaching basic clinical ultrasound as part of the undergraduate medical curriculum. In a few years’ time this is likely to be routine across most universities. This is where you get started in incorporating clinical ultrasound into your practice. However, it is just the start and like most medical skills, needs further training to improve knowledge and skill. To this end, there are number of options available including purely online learning, or blended learning program such as workshops or simulator-based programs. Within clinical learning, mentors will help guide and check skills and interpretation. 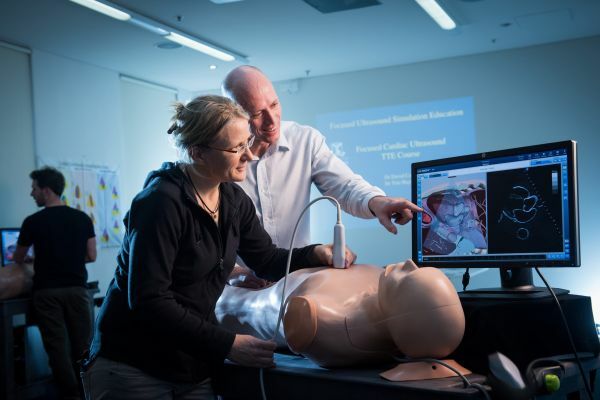 The Ultrasound Education Group in the Melbourne Medical School, at the University of Melbourne already has many options available from simple online courses to graduate award programs such as certificate, diploma, or master courses; as well as a suite of workshop and simulated base courses. 2. What are other specialties in ultrasound? In the future, all doctors should be able to perform basic clinical ultrasound. The range and type of ultrasound scans will depend on the scope of practice of the medical practitioner. Within each specialty craft group, there will also emerge a group of practitioners who become advanced clinical ultrasound usages. For example, in the critical care specialties (anaesthesia, intensive care and emergency medicine) all doctors should be able to perform basic clinical ultrasound, but some will become experts including applications such as transoesophgeal echocardiography. The two core specialties where ultrasound is seen as a subspecialty is cardiology and radiology. Practitioners become very expert in their field of ultrasound use, and typically will supervise ultrasound laboratories which are staffed by ultrasound sonographers. 3. What is the future of diagnostic sonography? The uptake of clinical ultrasound by non-cardiology/radiology practitioners is a highly disruptive process that is excellent for patient care. The ability to more accurately diagnose medical conditions during their first presentation will enormously improve patient care and probably reduce cost due to misdiagnosis. However, when abnormalities are detected with basic ultrasound, there will frequently be a need to confirm and quantify the diagnosis and severity with more advanced ultrasound imaging. It is likely that specialists in diagnostic sonography will see fewer “normal studies” but more studies with pathology. Furthermore, over time more basic uses will extend their knowledge and skill to diagnostic level. Within departments or groups of practitioners from multiple specialties including general practice specialists, there will be “in-house” ability to confirm findings from basic ultrasound. 4. What is the difficulties and challenges while studying ultrasound? Studying ultrasound has two key components-knowledge and practical skills. When a practitioner starts to learn ultrasound, the knowledge, hands on learning, and practice of roughly equal proportions. However, as the transition from basic to advanced practitioner the greatest proportion of learning is knowledge. When starting, it is important to have a systematic approach to learning and starting with basic before tackling advanced topics. It is important to have good instruction on how to perform the ultrasound in a systematic manner and then applying it in practice. One of the difficulties is when students have a burst of learning and then don’t practice. We highly recommend that the student tries to perform a number of echocardiography studies early on to boost their confidence. We know that after about 30 scans, their confidence improved enormously and the rate of continued learning begins to slow. 5. What is the difficulties and challenges while studying ultrasound online? Online learning is very good for delivering knowledge and for practicing interpretation. Part of that learning is how to perform the scan. However, sooner rather than later, the student does need to learn and practice the actual acquisition of ultrasound images-and that cannot be done online. It is best to think of the online learning as a part of a blended learning program whereby the knowledge and interpretive practice is delivered online and the hands-on learning and practice must be done with the patient. 6. Is ultrasound scan safe, what should I pay attention to when performing a scan? The ultrasound scan is considered completely safe. This includes ultrasound scans during pregnancy. Some types of ultrasound scans are considered “invasive procedures” where body cavities are entered, and then there is risk of damage to the body organ or discomfort to the patient. For example, Transoesophageal echocardiography or vaginal ultrasound are examples. When performing a scan, it is important to consider how to positione and expose the patient maintaining their privacy at all times. Physical pressure of the probe on the skin can be uncomfortable, particularly if there is bruising or fractures around the site that you’re putting the ultrasound probe onto. Sometimes, one has to not scan a certain part for the patient comfort sake. Advanced standing or recognition of prior learning is acknowledgement of prior study granted based on prior study or work experience. Contact us if you believe you are eligible for advanced standing. You will be asked to provide further information and detail about the studies you have completed to help with this assessment. UEG comprises of academics, including Prof Alistair Royse (Cardiothoracic surgeon, Deputy Director of Surgery), Prof Colin Royse (Anaesthetist) and Dr David Canty (Anaesthetist, Senior Lecturer), who supervise higher research degree students, undergraduate medical students performing research projects, and post-graduated clinicians pursuing active research and education projects. Research themes include a wide range of ultrasound including transoesophageal echocardiography for cardiac surgery, clinical point of care diagnostic ultrasound of heart, lungs, abdomen, vascular, invasive procedures, and new techniques. Other active areas of research include cardiac surgery, cardiothoracic anaesthesia, postoperative quality of recovery in all types of surgery, and medical education. 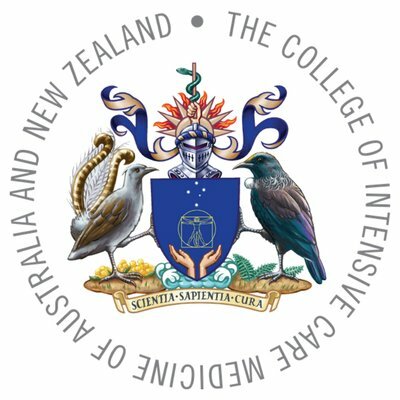 In 2015 the unit was successful in obtaining the largest NHMRC grant awarded to a department from The University of Melbourne, which was for The International Multi-centre Randomised Trial on Transfusion Triggers in Cardiac Surgery, led from Ontario, Canada. These three award courses are offered to medical professionals who wish to obtain further expertise in medical ultrasound for clinical practice. All graduate courses are delivered online and require no contact hours. Course materials can be downloaded to iPad, Android or Windows tablets or can be accessed online using a web browser. Clinical training and education are vital elements for any hospital’s growth, however getting quality programs implemented is often a slow process. 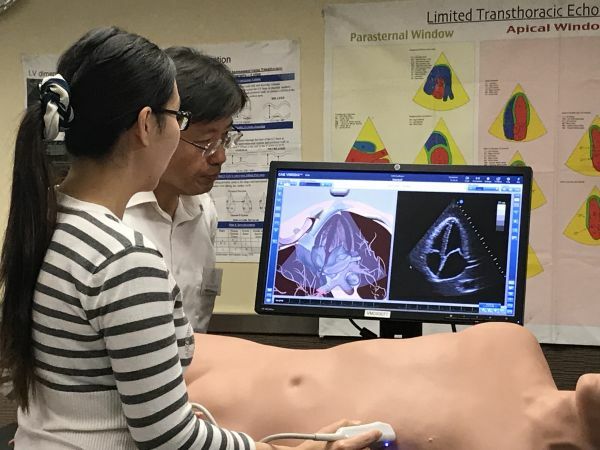 Our Focused Ultrasound Simulator Education (FUSE) and Focused Cardiac Ultrasound (FCU) courses have been developed to be easily integrated into any hospital structure. These micro courses aim to provide topic focused educational courses in specific learning areas. These short courses are cost and time effective with the average learning time of 1 month for a single course or 3 months for a package course. The Faculty of Veterinary and Agricultural Sciences teaches a broad range of veterinary, agricultural, food and biomedical sciences. We strive to be the pre-eminent veterinary and agricultural science Faculty in the Asia-Pacific region and the regional school of choice for veterinary and agricultural science students. 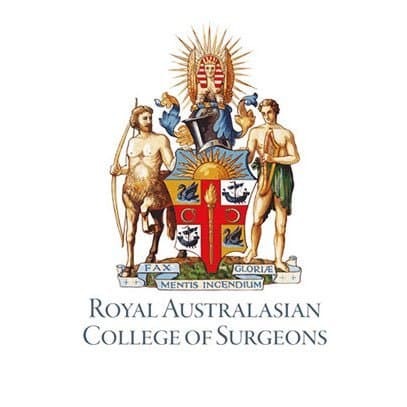 Venue: Department of Surgery Level 6, Centre for Medical Research, The Royal Melbourne Hospital. Simulator bookings are only available to UOM students and staff members of Royal Melbourne Hospital. Please click the link to access the Simulator Booking System. An instruction is given on how to select a suitable simulator for your use in the booking system. Please read it before you make the appointment. Select the Suitable Simulator on the top right-hand corner. You can click on the Calendar on a preferred day (on the right-hand side) and time (below the calendar). All booking session is to be booked in1 hour blocks. Multi-bookings are available. Enter your full name and click 'Create Reservation'. Or, you can click Available tab, it will show you a list of time and available simulators within 24 hours. You can modify this search at the bottom of the page. Please contact us on +61 3 9035 4739 or email mobile-learning@unimelb.edu.au if you require assistance with your booking. How do I get my login details? Our 'Getting Started' email is sent to you immediately after you successfully enrol in a course. This will contain your login details along with other information you need to get started. Do a search of your inbox for 'Getting Started' to quickly locate this email. Please check your junk mail if you do not see the 'Getting Started' email in your inbox. Contact our support team if you cannot find this email. I’m seeing "The username or password you entered is incorrect.". What can I do? Find your login details in the "Getting Started" email. Carefully copy and paste your login details across to the login screen, ensuring that caps lock is off (passwords are case-sensitive), and you are not inadvertently adding a blank space before or after your password. If you have enrolled in a free course, then you will have access to the free course for 6 weeks. After your access has lapsed, you will receive the 'incorrect username or password' error. You will need to enrol in a paid course or contact support to extend your access to the free course if this is the case. If you have forgotten your password, use the 'Forgot your password' option on the login screen to reset your password. I'm seeing "There was a problem while contacting the server. Please try again later". What can I do? Often this is caused by an incorrect username or password. Please double-check that your username and password are correct. Sometimes our servers can go down for short periods for maintenance. Let us know at support if you continually receive this message. If you have downloaded the materials to your portable device for offline access, then you may receive this message after a continuous period of more than 2 weeks being offline. Our system requires that you periodically re-verify your identity at least every 2 weeks to continue receiving offline access to materials. Connecting to the internet and then logging into the app whilst online will re-verify your identity and solve this issue. The app is crashing or the app/web browser is constantly asking me to login. Your username and/or password are incorrect. Please double-check to ensure that you have entered them correctly. You have exceeded the maximum number of device logins. We have a limit of 5 devices logins before your access is automatically limited, causing the app to exit each time you attempt to login. Sometimes you can reach this limit unexpectedly, as 'new devices' can be accidentally recorded by the system if you clear your cookies or use a different browser. If you suspect that this is happening then please contact us and we will reset your device count. Up to 6 weeks prior to the course/workshop: a full refund will be provided within 10 working days after you have notified (and received acknowledgement) from the office. 2 – 6 weeks prior to the course/workshop: For a FUSE or FCU simulator course, 40% ($100) cancellation fee will be charged. For an iHeartScan course, a 40% ($560) cancellation fee of the workshop fee will be charged and the difference will be refunded within 10 working days after you have notified (and received acknowledgement) from the office. 2 weeks prior to the workshop: a 100% cancellation fee will apply and no refund will be given. 12 months to 6 weeks prior: Transfer is free of charge. 2 to 6 weeks prior: For a FUSE or FCU simulator course, an administration fee of $50 will be charged. For iHeartScan an administration fee of $195 will be charged. 2 weeks prior: No transfer will be given. In the event that the course/workshop you are registered in is cancelled or re-scheduled, registrants will have the option of receiving a full refund or transferring to an alternate workshop within 12 months of the original workshop registration date. RACS 1 Point per hour in Maintenance of Knowledge and Skills 1 Point per hour in Maintenance of Knowledge and Skills Not available Not available Not available 1 Point per hour in Maintenance of Knowledge and Skills Notify us at mobile-learning@unimelb.edu.au of your RACS membership number and the workshop that you attended immediately after completing your workshop. The Ultrasound Education Group (UEG), University of Melbourne was founded in 2004 by Professors Alistair and Colin Royse. 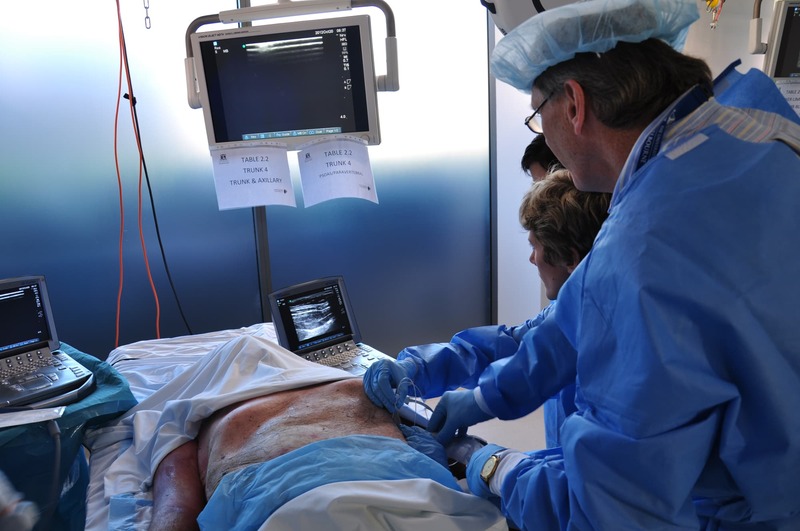 The focus of UEG has been on the development of learning in clinical ultrasound as well as hands-on workshops and simulator training programs. UEG also now specialises in the development, publication and delivery of eLearning education courses. The first course created was the Postgraduate Diploma of Perioperative and Critical Care Echocardiography. Over time this has expanded to the current portfolio which includes Graduate Certificate, Diploma and Master of Clinical Ultrasound. 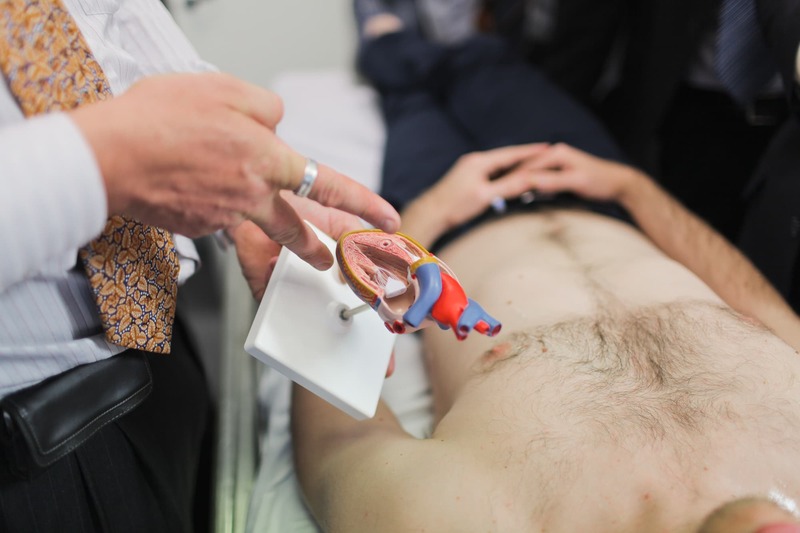 The iHeartScan and iHeartScan Advanced workshops were also developed, and more recently the Focused Ultrasound Simulator Education TTE, TOE, Peri-Arrest, Vascular and Lung and Gastric courses which integrate eLearning with simulators to reinforce practical components. Our Mobile Learning Platform can be accessed, anytime, anywhere, on nearly any device! 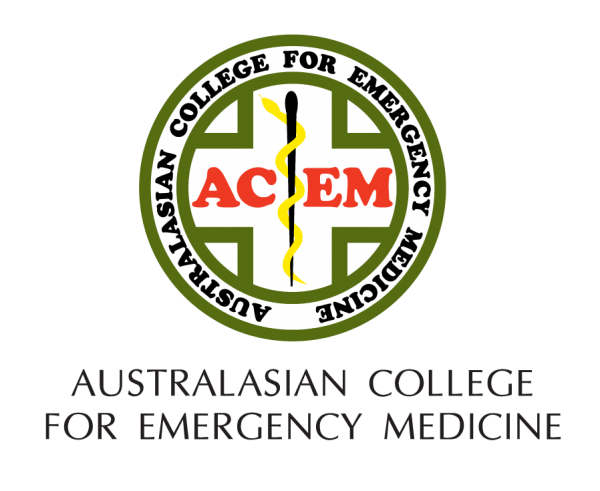 In Australia, there are roughly 6500 anaesthetists and intensive care physicians. Over 2500 students have graduated from our award courses, and over 3000 have completed one of our workshops or getting started packages. 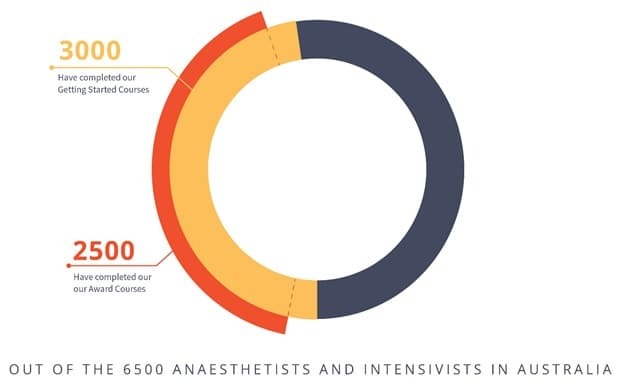 To put this in perspective, we believe we have trained approximately 40% of the entire pool of anaesthetists and intensive care physicians in Australia. The course has been so useful in fact the other day I was reading a tutorial then when at work the same scenario occurred and I was able to directly save a life because of that knowledge. Very grateful, thank you.